Even before the highly anticipated six-month, $3-million collaboration between the Royal Ontario Museum (ROM) and the Israeli Antiquities Authority (IAA) showcasing the Dead Sea Scrolls was officially launched in late June, the exhibit was already the subject of growing controversy. “Dead Sea Scrolls: Words that Changed the World,” as the exhibit is entitled, first attracted international attention in April when Canadian Prime Minister Stephen Harper and executives at the ROM were each sent letters of protest from senior officials of the Palestinian Authority (PA) – signed by Prime Minister Salam Fayyad and Minister of Tourism and Antiquities Khouloud Diabes, respectively – declaring that the scrolls were in fact illegally seized by Israel following its occupation and subsequent annexation of the West Bank in 1967. 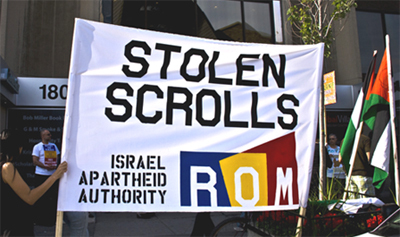 The PA not only called for the repatriation of the scrolls but further argued that they merely represent one example of possibly millions of other artifacts that have been systematically looted by Israel from occupied Palestinian territory over several decades, a message that has since been echoed by a chorus of supportive community groups who continue to organize weekly pickets outside of the ROM in protest. Demonstration at the Royal Ontario Museum (ROM) exhibit. The majority of the Dead Sea Scrolls were excavated in eleven caves near the site of Qumran, one kilometer along the northwest shore of the Dead Sea, by the Palestine Archaeological Museum (also referred to as the Rockefeller Museum) in a joint expedition with the Department of Antiquities of Jordan and the Ecole Biblique Française between 1947-1956. Originally found quite by chance by an Arab Bedouin named Mohammed Ahmed el-Hamed in 1947, the scrolls are by now widely regarded as one of the greatest archaeological discoveries of the twentieth century. Consisting of approximately 900 documents in various states of completeness, the scrolls are said to represent the oldest known version of the Old Testament Bible (approximately 150BC-70CE) and are considered sacred to Judaism, Christianity, and Islam alike; they are written largely in Hebrew, but many can be found in Aramaic and Greek script as well. As for Canada, whose role is one of host nation to the exhibit, the legal obligations stipulated seem even more convincing. Canada is a signatory to the First and Second Protocol of the UNESCO “Convention for the Protection of Cultural Property in the Event of Armed Conflict” (1954), in addition to the “Convention on the Means of Prohibiting and Preventing the Illicit Import, Export and Transfer of Ownership of Cultural Property” (1970). The First Protocol of the 1954 Convention clearly requires Canada to “…take into custody cultural property imported into its territory either directly or indirectly from any occupied territory.” Article 3 of the same Protocol further elaborates that upon seizing the artifacts, Canada must “…return, at the close of hostilities, to the competent authorities of the territory previously occupied, cultural property which is in its territory.” As per the UNESCO conventions outlined above, Canada is accountable to at a minimum either deny the importation of artifacts of dubious ownership such as the Dead Sea Scrolls, or seize them at the border and assume custody of them until a negotiated end of hostilities between the Israelis and Palestinians can be secured. Yet in order to justify any colonial conquest, a prior historical claim to the land in relation to its existing inhabitants alone is not enough; the new regime must be portrayed as an agent of civility and cultural sophistication set against barbarity and backwardness, all along underpinned by a semblance of inferred racial superiority and entitlement. During the era of European colonialism for example, Britain, France, and most notably Nazi Germany all engaged in archaeological projects in their respective colonies to prove, through found artifacts, the inherent superiority of the white/Aryan race. The Nazis sought to retrace the glory of the Roman Empire back to Germany as evidence of Aryan racial supremacy, espousing a return to the glorious past where old virtues prevailed over the savagery of ‘lesser’ races (in particular, Jews). The primary purpose of archeology under European colonialism – just as it remains in Israel today – was twofold: first, to encourage a sense of national pride and prestige linked to the image of an illustrious past; and secondly, to legitimize colonial rule and expansionism as a ‘natural,’ even God-given, right. Israeli archeology not only serves as a means of legitimizing colonial rule but is in fact a literal expression of it that has proven to be entirely consistent with official state policy overall. Whereas the illegal bulldozing of homes, expulsion of their inhabitants, and expansion of Jewish settlements in occupied Palestinian territory have by now all become familiar fixtures of official state policy, Israeli archeology continues to be the principal source of securing and annexing additional land – or what anthropology professor Nadia Abu-El Haj alternatively calls producing “facts on the ground.” Such efforts to undermine any competing historical claims to the land – after the fact, by erecting synagogues over mosques, museums over grave sites, or parking lots over ethnically cleansed villages – constitute, in sum, the systematic erasure of Palestinians from the past in order to deny them a sense of purpose and place in the future. Far from simply a historical analogy that has gained currency amongst Palestinians and international solidarity groups in recent years, the charge of Israel as an apartheid state is one that is well supported by virtually every objective criteria defined under international law. The proverbial crack in the facade of Israel as a ‘normal’ state like any other has certainly been no secret but is only now beginning to be seriously addressed. As much a sign of growing desperation over a failing public image abroad as a measure of sheer resilience, the Israeli foreign ministry launched an ambitious multi-million dollar rebranding campaign called “Brand Israel” in the city of Toronto in 2008. Toronto was carefully chosen as a North American test market for the campaign, presumably in large part as a response to the growing success of the city’s Palestine solidarity movement as well as its renowned cultural diversity. 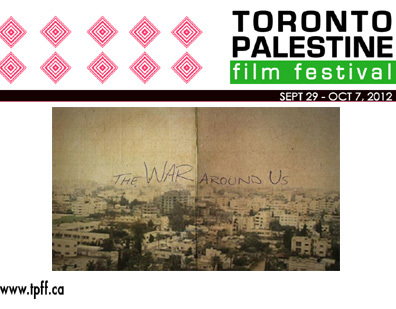 Consisting of public advertisement blitzes, the current ROM exhibit, and a planned special showcase on Tel Aviv at the upcoming Toronto International Film Festival, the campaign is little more than an open ploy to divert attention away from what is at its core a criminal colonial enterprise – and it is seeking to use ‘culture’ as the primary means to do it. Several community groups have organized weekly pickets outside of the ROM in order to raise public awareness about the origins of the scrolls and demand that they be returned in accordance with international law, including the Coalition Against Israeli Apartheid (CAIA), Women in Solidarity with Palestine (WSP), and Palestine House. Israel advocacy organizations have in response vehemently refuted such claims, dismissing them as yet another attempt to reject incontrovertible historical proof of Israel’s biblical roots and its legitimacy as a ‘Jewish state.’ According to these organizations, the only possible motive behind the ROM pickets is to ensure that the scrolls remain hidden from the public forever; however, in reality the scrolls were openly displayed at the Palestine Archaeological Museum for all to see from 1947-67, and it was not until 1991 (nearly 25 years after they were seized) that they were even allowed to be shown to the public again. Only pending a total failure of basic judgment can such a classic canard of the Israeli PR machine be taken seriously. The battle over the scrolls is hardly the first time the ROM has been at the center of controversy over the alleged misrepresentation of cultural heritage. Officially promoted as an opportunity to stimulate interfaith dialogue under the familiar banner of “that which unites is greater than that which divides,” the exhibit has little to do, in fact, with “unity.” The exhibit’s website for example fails to make any mention whatsoever of anything about the scrolls or their origins that does not conveniently coincide with the given Zionist national narrative, consciously omitting irrelevant facts such as ‘Palestine’ as the commonly used name of the region during the era that they were written, the role of the original excavation team in finding them, and where they were housed until 1967. Similarly, the ROM’s preference to use in its promotional literature of the exhibit such biblical terms as the “Land of Israel” in place of Jerusalem, or the “Judean dessert” rather than the West Bank, is not only imbued with nationalistic and religious overtones that would be completely foreign to the indigenous population of the region but almost reflexively echoes Zionist colonial discourse. Israel can no more partition the land than it can the past itself, affirming its supposed biblical roots only by precluding the historical reality of ‘Palestine’ or ‘Palestinians’ in the process. Even were Qumran, for example, to be recognized as part of a future Palestinian state under the logic of a two state solution it would still, according to Israeli political scientist Meron Benvenisti, “transform the Palestinians into aliens in their homeland.” Yet nothing thus far has limited Israel from excavating and looting artifacts almost at will in the West Bank, or the ROM for that matter from highlighting the region in its promotional literature as the ‘Judean Dessert’. Such a scenario also says nothing of course about Palestinian cultural heritage that exists inside Israel proper (destroyed villages, tombs, grave sites, etc. ), which would require a prior acknowledgment of the ‘Nakba’ and give credence to a narrative that openly defies all simple racial, cultural, and geopolitical categories of ‘us’ and ‘them’. When the Israeli Knesset (i.e. 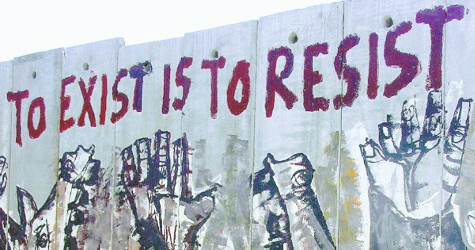 parliament) passed a bill just a few weeks ago banning all state funding of activities that commemorate the ‘Nakba,’ the irreconcilable contradiction of Israel as both a ‘Jewish’ and ‘democratic’ state – and its underlying apartheid reality – could not have been made more obvious. Many efforts have been made over time to ‘solve’ the problem of archeology and artifacts in the region, one such example being the recent ‘Israeli-Palestinian Cultural Heritage Agreement’. The preamble to the document states that “Israel and Palestine constitute a unified archaeological landscape divided by political borders,” but that in the exceptional case of Jerusalem, the two parties should establish a special, shared “heritage zone.” The document goes on to argue that artifacts seized since 1967 should be repatriated to the ‘state’ where they were originally excavated, at once treating them as distinguishable by default of where they were found, as well as ignoring the deep-rooted history of the region and its peoples – both Jewish and Palestinian. An addendum to the document specifically concerning the Dead Sea Scrolls also recommends that both parties consider putting them on loan to Israel for a period of 999 years. Aside from being logically inconsistent to the point of bordering on absurdity, the document already begins from the false premise of a just or realistic two state solution, and thus falls victim to the fatal flaws that necessarily come with it. Can you tell me what the difference is between the archaeological finds from the Bronze Age in the western part of the city [Jerusalem] and the finds from the same period in the eastern part? […] The history of this land is the sum of all histories of the people who lived in it. The Roman period does not belong to the Romans. You will not want the synagogue at Na’aran to be dismantled, just as I will not want to dismantle the Jazar mosque in Acre. You cannot deprive me of the Jewish past of this land. It belongs to everyone. “Dead Sea Scrolls stir storm at ROM,” Toronto Star, April 9, 2009. All references in the following section are found in the CJPME factsheet: Legal Violations with the ROM’s Dead Sea Scrolls Exhibit. “Archeology and Politics in Palestine,” The Link, March 1987. Facts on the Ground: Archaeological Practice and Territorial Self-Fashioning in Israeli Society (2001). El Haj. “Archeologists for hire” Guardian , May 1, 2008.
International Convention on the Suppression and Punishment of the Crime of Apartheid (1973). “Israel eyes Toronto for marketing test site” Toronto Star, March 17, 2008. “Jews match boycotts with email and spending” Toronto Star, July 20 2009. “Dead Sea cranks” National Post, July 2 2009. The reference here is to an exhibit several decades ago called “Into the Heart of Africa,” which caused public outrage in the African-Canadian community over ‘racist’ depictions of African cultural heritage. CJPME Analysis: Changes for the ROM Dead Sea Scrolls Exhibit. “There is no archeological peace” Haaretz, June 16, 2008. “Labor Min. to Lieberman: Nakba bill sullies Israel’s image” Haaretz, July 19 2009. 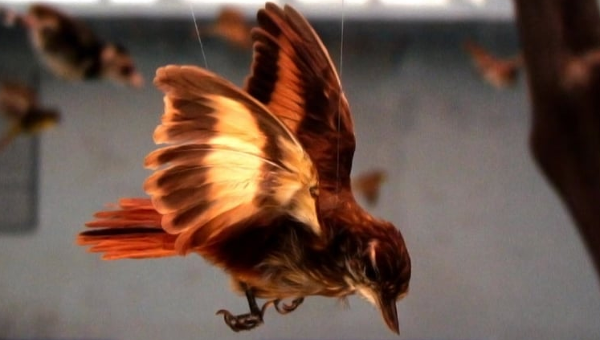 “A separate peace” Haaretz, April 12 2008.